1982 Plan Joubert, construit chez Camper Nicholson en Carbone kevlar sur structures métalliques. allait très vite mais jamais au bon endroit! 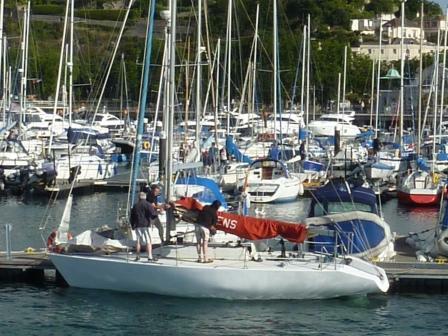 1983 Cowes-Dinard: 2e/50 classe V.
Cervantes Trophy: 1er/? Classe V.
Semaine des halfs de Brest: 3e/??. 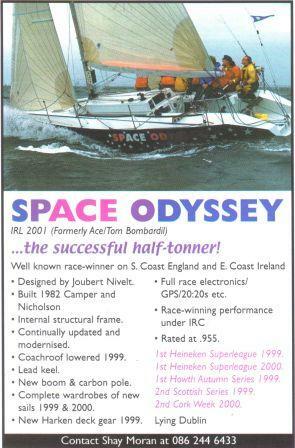 1989 Gull Rock - Manacles race: ?e/?? 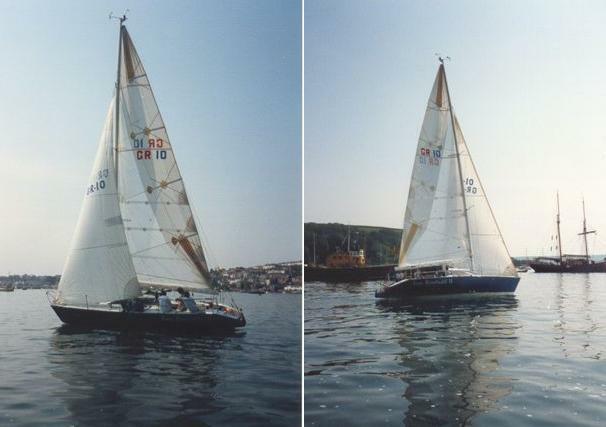 1997 April "Yachts & Yachting", For sale with trailer and new rig, £18,000. 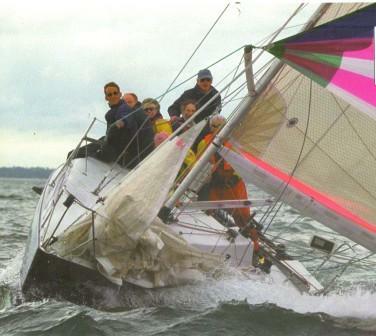 1er octobre, Howth Yacht Club Autumn series: ?e/?? 2004 Toujours sous ce nom. 200? For Sale, from "Seahorse"? 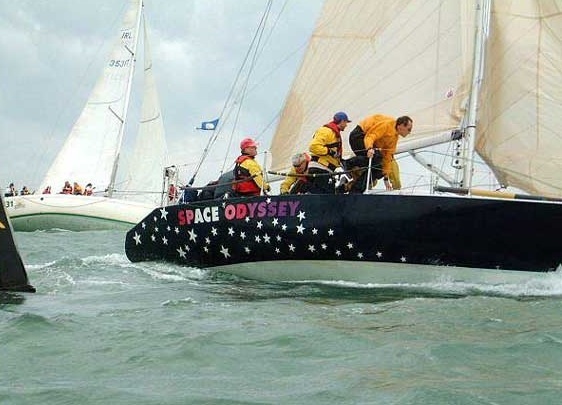 For sale: "Space Odyssey", It was formerly known as "Ace" of Southampton and it had an excellent racing record. Now due to circumstances it has been laid up for the past couple of years and is now in need of both money and time to be spent to bring it back to a racing standard. 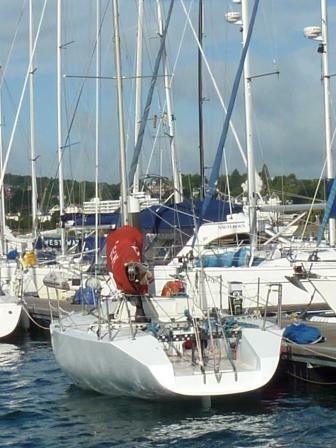 The yacht is currently lying in Dublin, Ireland on a purpose built cradle. I look forward to hearing from anyone who would be interested in taking on this project. 2010 February, Brenda Delany's information: Space Odyssey' Lowered cabin roof. Has an internal aluminium frame. Has now been renovated and is back sailing.